The Immortal Rules by Julie Kagawa – it’s been a while since I read anything featuring vampires but I don’t think I’ve read a bad review of this and I have a copy from NetGalley so it’s made the shortlist. Catching Fire and Mockingjay by Suzanne Collins – I finished The Hunger Games in March 2012 and still haven’t read the second or third. I’ve lined them up for a couple of read-a-thons before but still haven’t read them. Plus, I imagine that they’re quick reads so ideal for picking up when I only have an hour or so to spare. 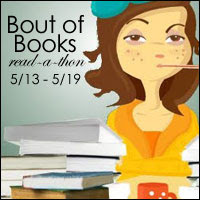 My Soul to Take by Rachel Vincent – clearly this read-a-thon will have a YA theme! I’ve actually had the first three in this series for quite a while but haven’t got round to starting them. I feel as though I should fix that! As always, I have plenty of reviews to write so if I can write and publish two during the week, that’d be awesome. Failing two, one will do! Heck, I could even live with some scant notes!